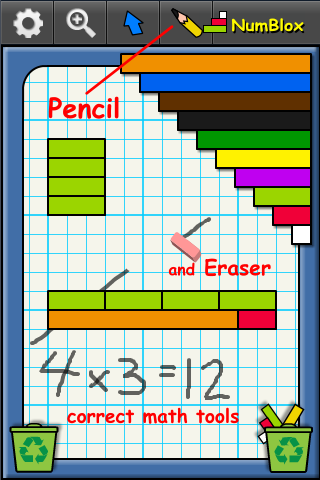 NumBlox is cuisenaire rods - number blocks - for mobile devices! See NumBlox demo video on YouTube. Or, Screenshots below. 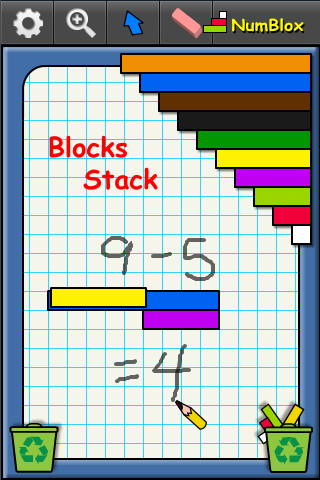 Standard number blocks 1-10 in standard cuisenaire rod colors. 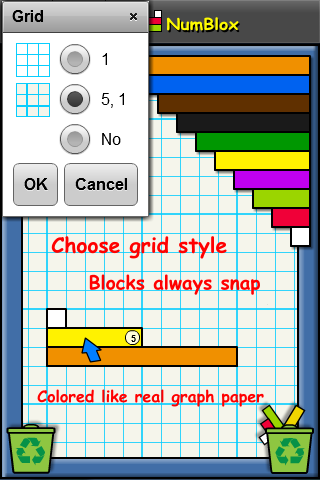 Standard cyan graph paper - unit grid, 5-and-1, or blank background. Math-appropriate graphite pencilwork with eraser. 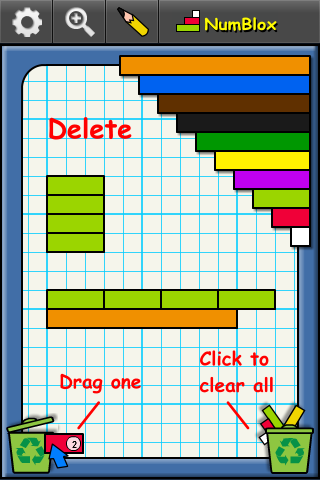 Blocks stack! Clear expression of "subtract". 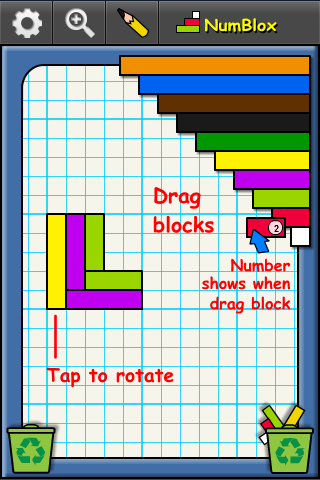 Number display while moving blocks. Limited language on user interface. Rotate device - edit in landscape or portrait orientation. Share artwork via camera roll, email, Facebook, Twitter, and others. Or, block Internet access for young children. Choice of colors! Pretty Rainbow, standard Cuisenaire, or Pastel. Pastel colors inspired by Math-U-See number blocks. 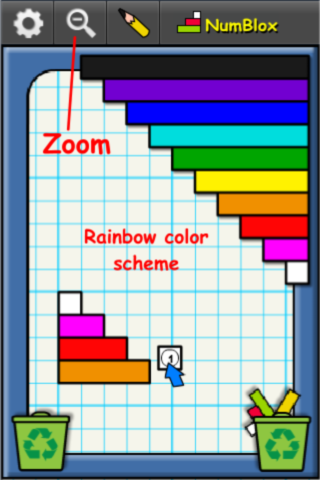 Zoom - great for small devices! 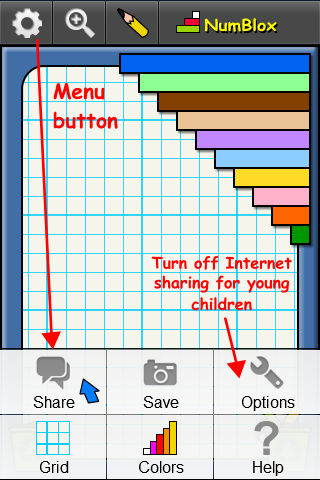 "Other" share - list all apps that accept share (iOS6 and Android). Smoother scrolling, especially on iOS devices. Now available on NOOK HD and NOOK HD+ by Barnes & Noble. NumBlox is available on web, iOS, and Android - iPhone, iPad, iPod touch, Kindle Fire, NOOK HD and NOOK HD+ by Barnes & Noble, Android phones and tablets, all sizes. Features vary - the web version doesn't have all the features of the mobile apps, at the moment.